A few months ago I met a vintage magazine dealer who was clearing out her amazing collection of midcentury movie and fashion titles. I cherry picked the issues with the best graphics, adverts, fashion, photo stories and gossip! 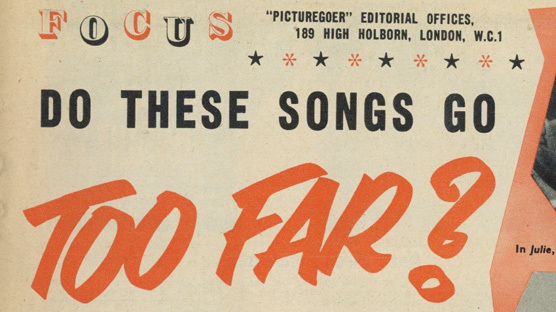 I pounced on the Picturegoer magazines from June 1956, July 1956 and July 1957. Picturegoer was a UK magazine published from 1913 til 1960 and featured films but more excitingly the behind-the-scenes real lives of film stars. 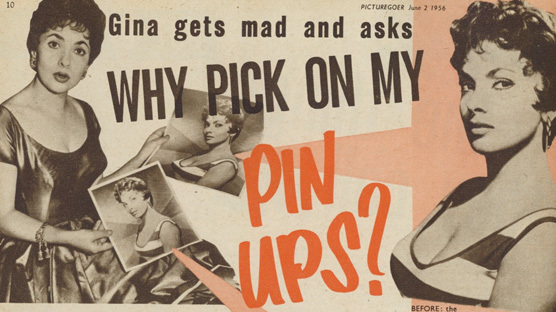 It became particularly sensationalist in the 1950s to compete with the launch of rival magazines. To me, it’s like reading a gossip mag which is set in a much more glamorous era. Very entertaining. I also love the graphics, fonts & layouts – really inspiring. And the language is a total hoot. Hours of trash mag fun. I also selected a Picture Show from Feb 1952 and a Cinemonde from July 1953. All the magazines I chose are jam packed with fantastic old adverts which for me is one of the main reason to read them. 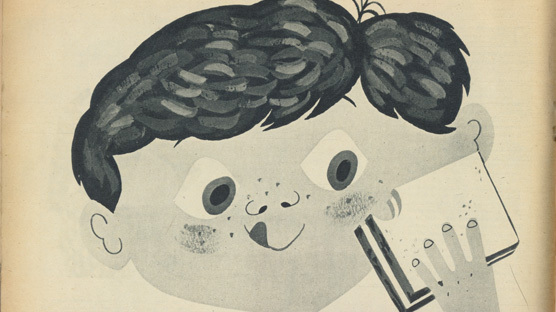 Consumerism exploded in the 50s/60s and magazines were full of amazing ads featuring great photography, super cool fashion, cutesy illustrations and bold graphics. To today’s modern eye they can often look ridiculous, but I love ’em! How cute is this lil’ fella? He can make super sandwiches from kraft cheese slices in seconds! He appears in the March 1st, 1958 issue of Woman alongside fiction, features and colour fashion spreads! 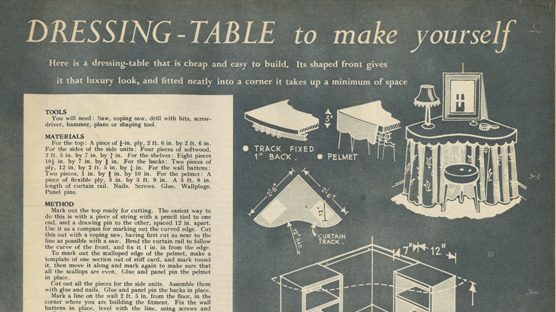 Post-war Britain continued to embrace the make do and mend ethos and many magazines from this era have some kind of DIY content. Often my favourite part. John Bull was a popular periodical published from 1824 to 1957 and has a great “Make Yourself At Home” section featuring four different DIY interiors projects. I picked out the Feb 1959 and April 1959 issues which both feature a super home life interiors illustration on the cover. I’m also partial to a good photo story. Even if it’s in French – it’s not the words I’m interested in, just the fashion, styling and interiors detail. I have a 1960s copy of Festival (which I’d not heard of before) which includes a super double page article on French actress Dany Saval – she’s such a cutie! If you want to check out the racier side of 1950s fashions then I recommend checking out Frou Frou. It’s a bit risque but the fashion and styling is super hot! Shop my selection of vintage magazines – click HERE. 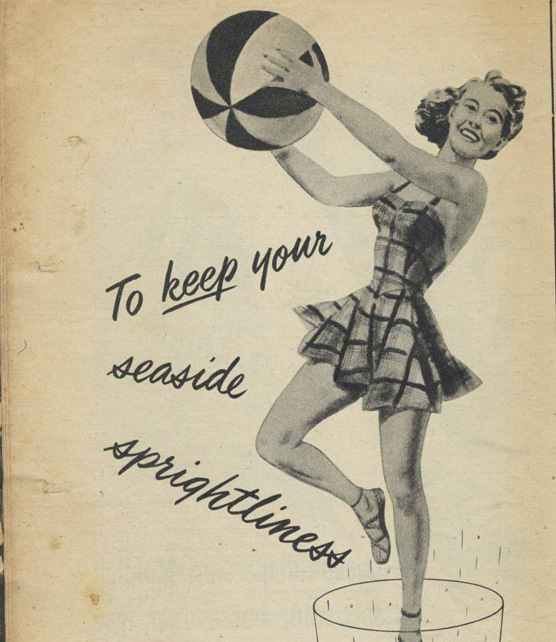 I have a few picturegoer magazines too – especially love the letters page and old adverts. Is that Brigitte Bardot in the french photo story?! It is indeed – I think the film still photo stories in Festival are compiled as kind of adverts for the films. I love ’em!